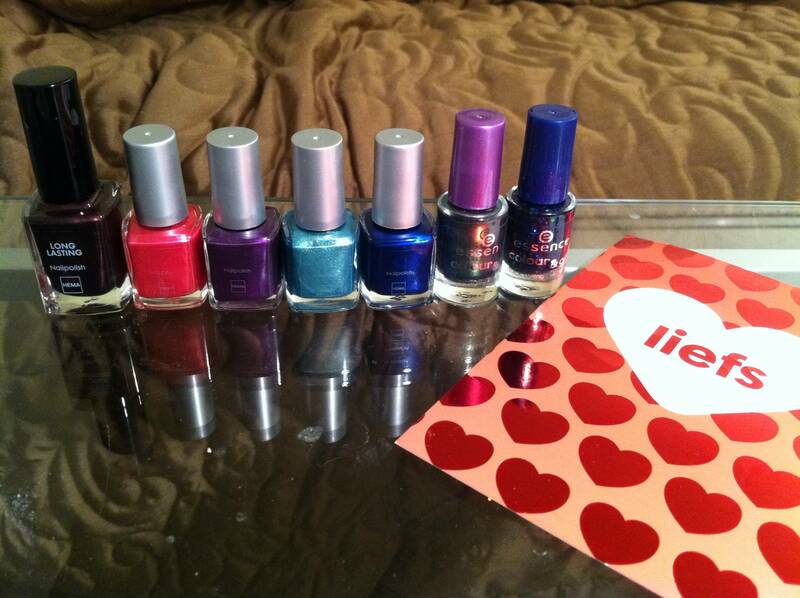 Just another nail polish addict! I’m sorry this post is a little rushed but I have SO much to work on right now, I’m working hard on moving my blog over to a REAL website so that I can integrate everything (blog, shop, whatever) into one place. 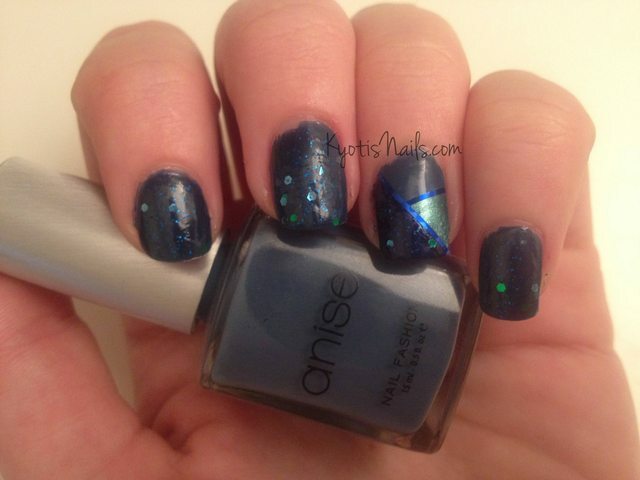 Today’s NOTD is another entry into a nail art contest. I love nail art contests, they give me the inspiration I’m often lacking! This theme was color blocking and it gave me an excellent opportunity to use my striping tape for the first time. I did the different colors freehand then covered the dividing line with striping tape, it left me with a very neat finished product! To match my solar system nails I had to do galaxy nails! I’d never done them before but just my second try (on my left big toe) turned out better than my first. 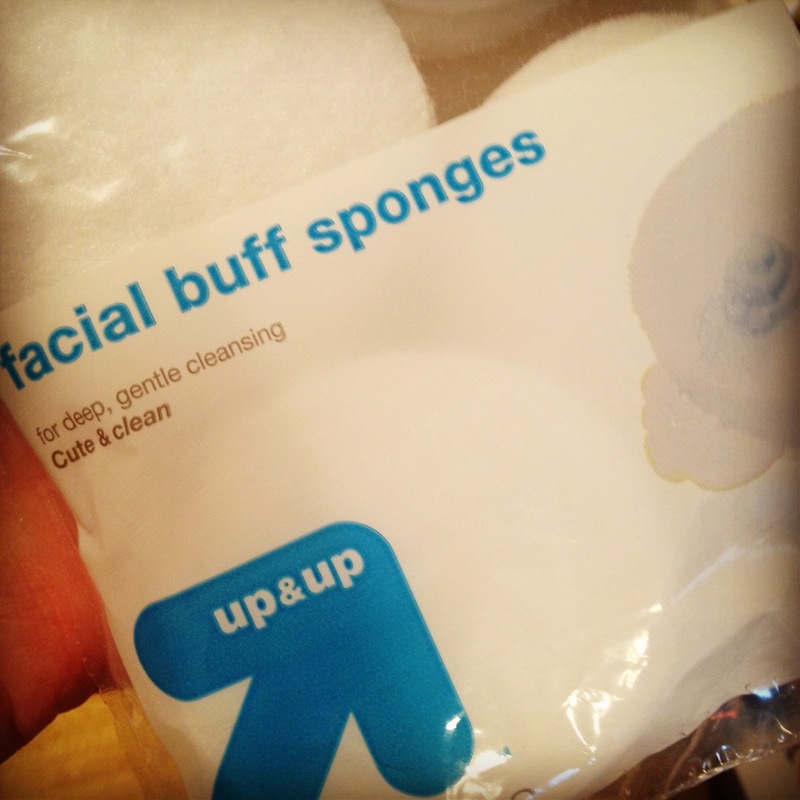 I had dense makeup sponges but I didn’t like the way it looked so I picked up some face buffing sponges instead and it worked so much better! 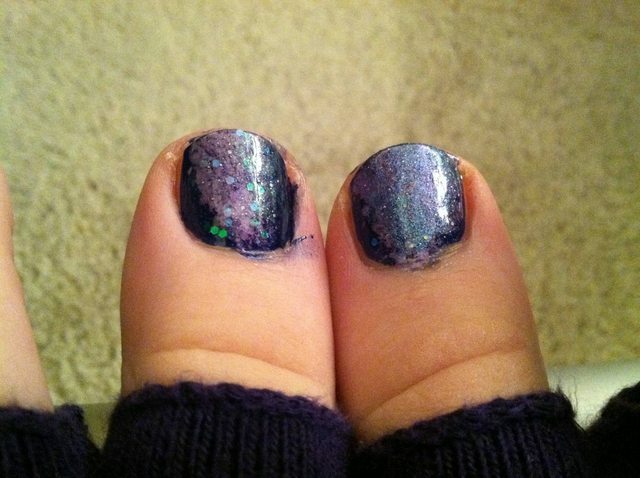 I did my right toe first and as you can see the colors I used kind of got lost in one another. 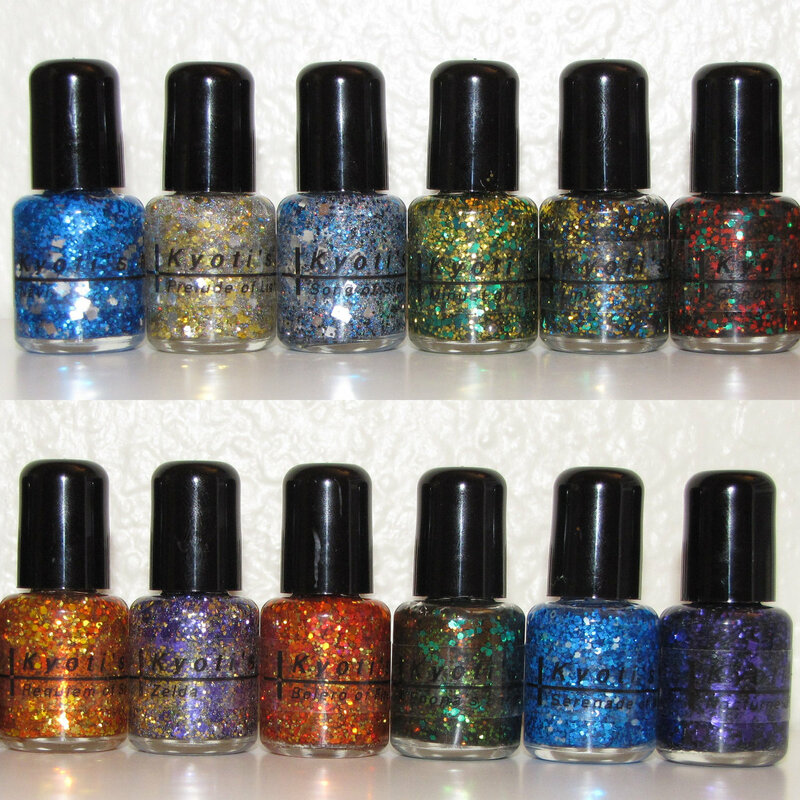 I used a glittery topcoat as well and it made it even harder to see. My left toe turned out much better, though! It’s been a good week for nail mail! I got stuff from an online swap and from a swap I did with my friend from the Netherlands. My first package I got on Tuesday and it was from the online swap. 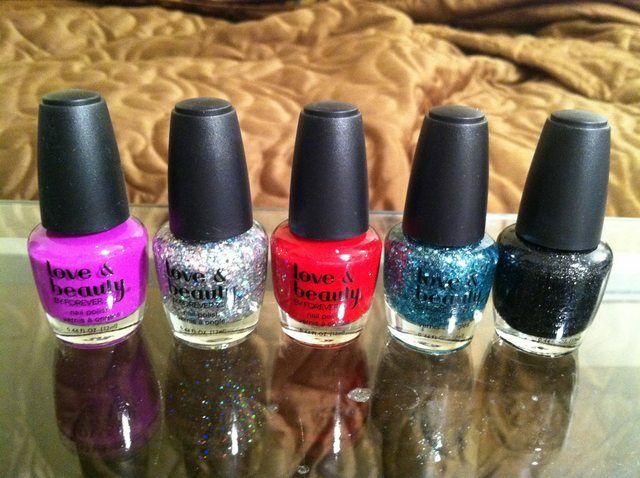 I got the cutest Love & Beauty set (from Forever 21), the glitters especially are gorgeous! I used the holo glitter (second from left) on my galaxy jewelry I made yesterday. These colors didn’t have any official names. The next day I got the package from my friend in the Netherlands. She absolutely knows my style, these are all such lovely shades. I used a couple of these in my galaxy jewelry from yesterday, too. She even included a card that says “Love” in Dutch! :3 The colors are Hema 79, 07, 08, 09, 10, Essence Where is the Party? and Blue Addicted. I don’t know which of these colors to try first!! 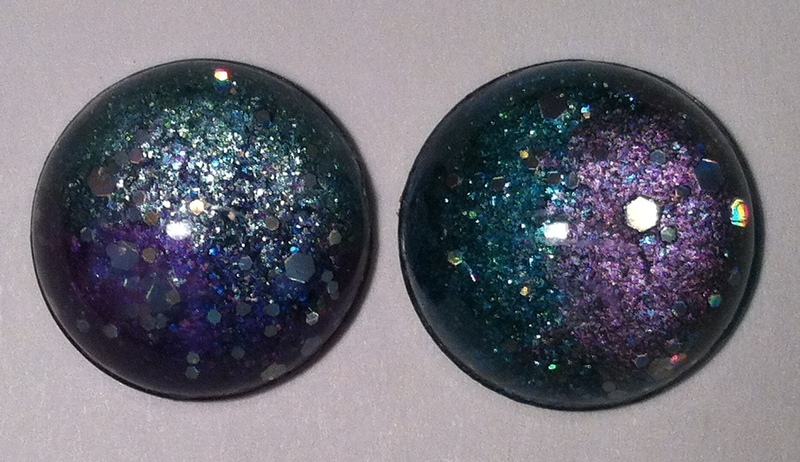 I picked up some 16mm cabochons using a $5 credit to an site similar to Etsy. I only paid a penny for 12 of cabochons 😀 However I didn’t realize that they had silver backings until after I’d purchased them. My solution? File the silver backing off using an old nail file! It worked great, it left some scratches in the plastic but once I put the first coat of polish onto it the scratches disappeared. 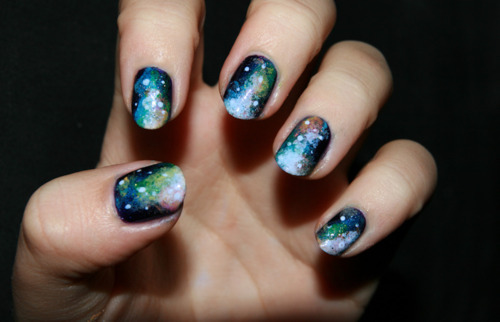 I’ve been wanting to do galaxy nails for a while but I haven’t had the patience. I took this as an opportunity to try out the galaxy look without having to sit and wait for my nails to dry. I’m quite pleased with how they turned out!! For anyone thinking of trying this I have one suggestion: don’t try to do the little white dots like you normally do (like on these), the dots get magnified a ton by the plastic (or glass if you’re using it) and it just looks funky. Glitter made a great first layer though! I’m not sure which colors were used for which cabochon but here’s what’s on my workstation. Now I just need to find some settings to put them into!